I Heart Triplets Womens T-Shirt Discounts Apply ! Finally, an "I heart" design for triplets! 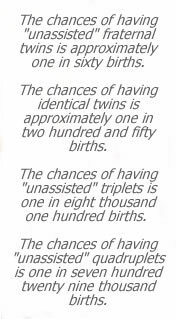 We think this one is particularly cute and is appropriate for anyone and everyone that loves triplets. Available in white, gray and black. It is also available on sweatshirts and mens t-shirts and sweatshirts.